Ok Go to perform on AMERICA'S GOT TALENT tonight! Ok Go on “America’s Got Talent” tonight! 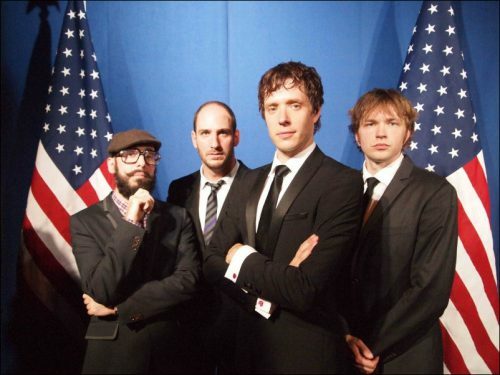 See Ok Go live tonight, Wednesday, August 10, 2011 at 9pm EST/8pm CST on the hit NBC show America’s Got Talent. The band will perform “All Is Not Lost” which is from their latest studio album, Of the Blue Colour of the Sky. Just last week, the band performed at President Barrack Obama’s 50th birthday bash in their hometown of Chicago at The Aragon Ballroom on August 3, followed by a live set at the Lollapalooza festival on August 5, and then at Kanrocksas in Kansas City on August 6.